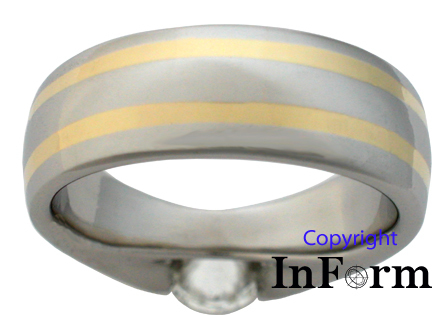 This is a variation of a ring I made with a single 18K yellow gold line that begins at the top of one side of the ring, just outside of the diamond, and traces the line around the stone on the underside of the ring and continues up the opposite side of the ring. 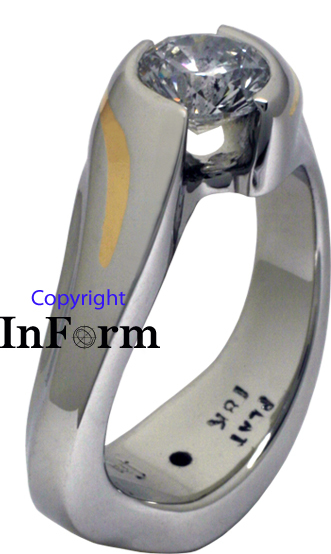 In this case, a part of the line extending on the outside portion of either side of the ring has been left as platinum. From a technical standpoint, this would make any future sizing of the ring somewhat easier than if the gold extended all the way around the ring. 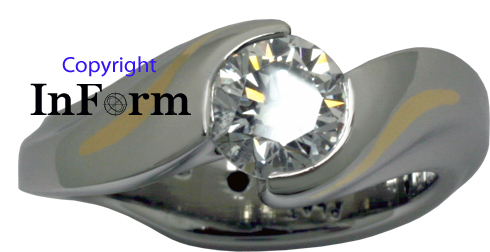 A .90 carat diamond is channel set in the space created between the two upper portions. 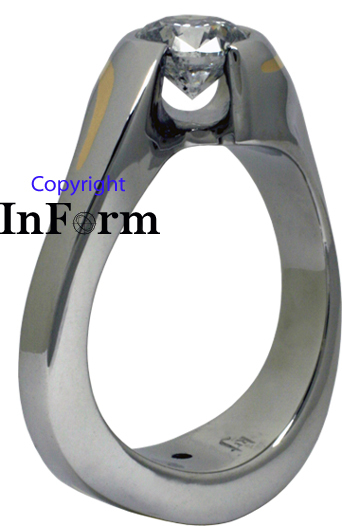 While the overall effect shares much the same appearance as that of a tension set diamond, it doesn't share some of the disadvantages encountered with the tension set counterpart. 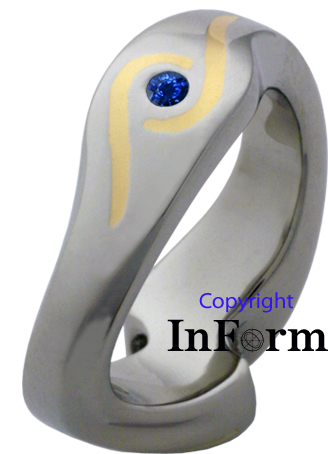 ***Please note that a ring bearing similarities to this one could be made using other colors of gold.